A healthy smile is considered to be one of the most socially important features of a person’s face. It’s why Americans will spend up to $1.4 billion every year on teeth whitening products. However, it isn’t always the brightness of our teeth that can have the biggest impact on our self-confidence, but rather replacing missing teeth. Missing teeth can provide enough space for your teeth to move. This can cause a severe impact on your bite and may result in jaw disorders such as TMJ. Dental bridges help to fill in the space to prevent your other teeth from shifting and causing oral pain. In addition to your shifting teeth resulting in oral pain due to a change in one’s bite, a shift in your teeth can also result in a change in your face’s appearance. Over time, your jawbone and facial muscles will shift naturally as your teeth shift. Dental bridges help prevent your jawbone from altering, therefore maintaining your facial structure. Dental bridges give you the confidence to smile with a full set of teeth, so you no longer have to worry about how you look in photos or at your next job interview. Depending on where you’ve lost your teeth, you may not be able to eat the same way as you used to. Crunchy foods that you used to enjoy may be too painful to eat. 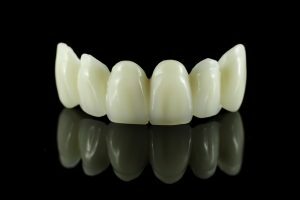 Like dental implants, with dental bridges, you not only get the look of your original teeth but the functionality as well. Missing teeth can sometimes make it difficult to speak or pronounce words correctly. A dental bridge will restore your ability to be better understood and can help you speak with ease. Missing teeth can have a big impact on your self-esteem and your everyday life. Consider talking to a Panama City cosmetic dentist about dental bridges today to rejuvenate your smile.